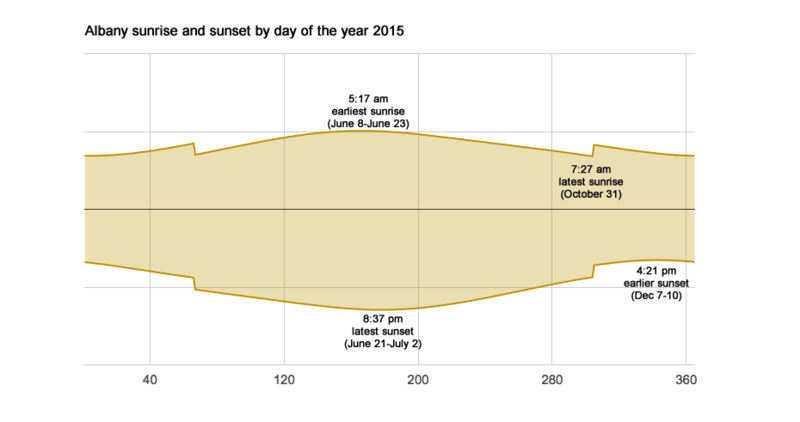 Sunrise and sunset times via US Naval Observatory. 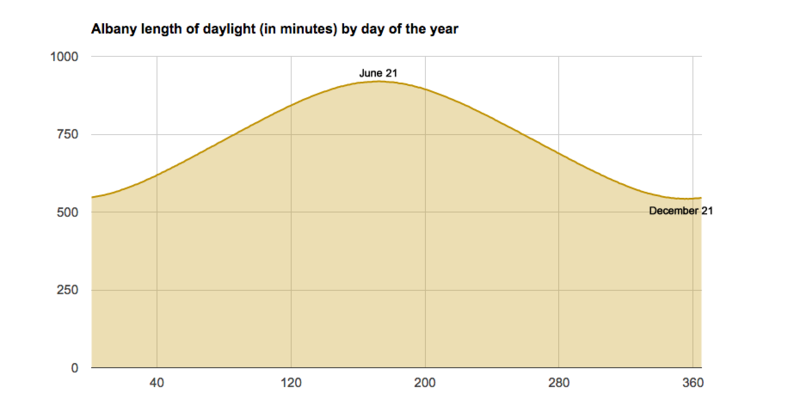 We're coming up on the shortest daylight day of the year -- it's December 21, the winter solstice (as you know). But if you're anything like us, it's the early sunsets that are kind of gloom inducing. And the earliest sunsets of the year are just about a week away -- December 7-10 -- 4:21 pm. To illustrate the how the length of sunlight expands and contracts through out the year here, we pulled together a few graphs. Have a look -- they're after the jump. Graphs are above in large format -- click or scroll all the way up. The map really points out how, if it were really all about maximizing daylight, the timezones should be set on NW to SE lines rather than pure North/South lines. I have always considered December 21st the beginning of winter's death rather than it's birth. This is fun and reminds me of something I saw this summer. There was an interesting study that came out that looked at the impact of sunset timing and wages (Gibson and Shrader). They compared cities that were on two opposite sides of a time zone line. So in these spots sunrise would be at 7 am for some and 6am for others. The people who live on a eastern edge of a time zone (Portland), get more sleep, get to work earlier, and are more productive. 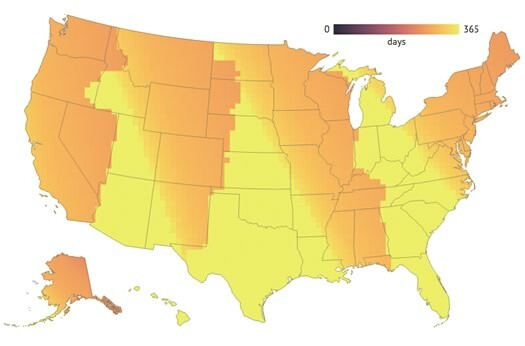 Those on the western edge (Ann Arbor) of a time zone are battling circadian rhythms, get less sleep, and are less productive. The authors estimate that people on the eastern edge will earn 4.5% in wages over their lifetime than people on the western edge. A freakonomics podcast did a nice summary of the paper and other economics of sleep issues.